I tend to love six month sessions. It seems like the calm before the…walking…and then the toddler attitude! 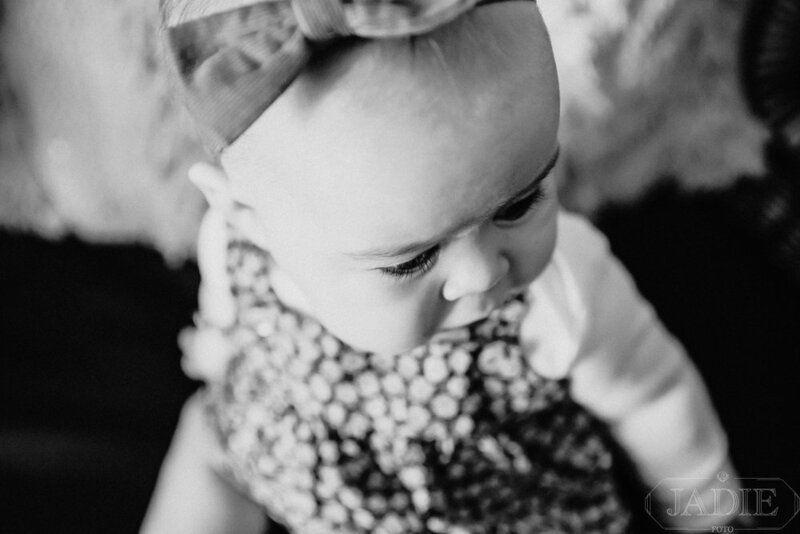 It’s those sweet little belly laughs, the wide eyes of discovery, the chunky baby cheeks and thighs, and for little girls, headbands - all the headbands! Parents want to remember every little detail. And the Behrens Family is no different. Lydia is such a cutie pie! As she grows, I can see the love in this family growing, too. Maybe it’s her adorable little tootsies or her shining beautiful eyes, but I happen to think it’s her smile that reels you in. Either way, I’m so happy we made some time to document this important milestone; before we know it, we’ll be meeting to celebrate the big O-N-E! So much can happen in six short months. Check out this little beauty and her family!